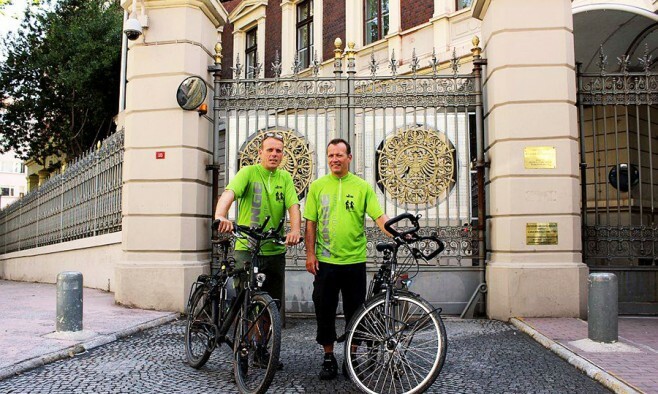 Two brothers have completed a 4,000km ride from Hannover in North Germany to the Turkish capital, Istanbul – raising more than €16,000 for the Hilde-Ulrichs-Foundation for Parkinson’s Research. Detlev and Ingo Niemeyer managed this achievement carrying all their luggage with them without a service vehicle the whole way. Detlev, the older of the siblings, has Parkinson’s. The progress of their ‘Benefistabul’ Tour de Turkey ride was recorded on their blog, with regular updates on their physical condition as well as the magnificent sights they saw, including the Alps, the Adriatic coast and the Rhodope Mountains. 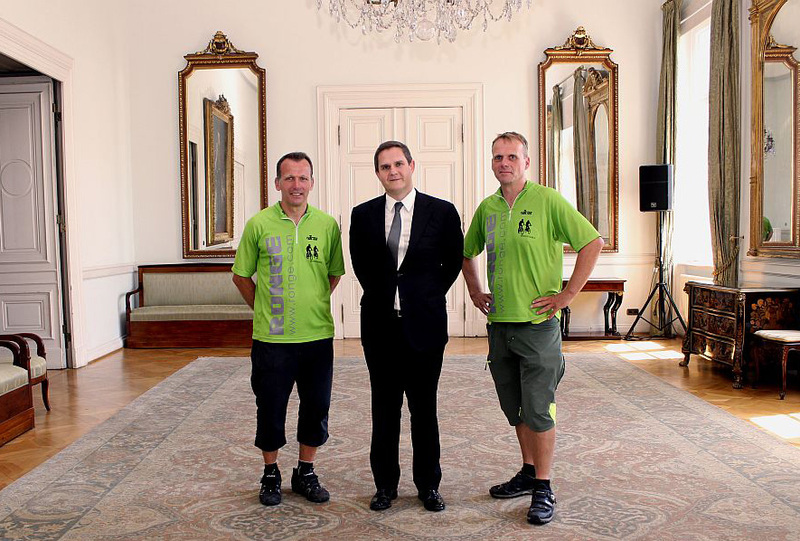 Passing through 12 countries along the way, it took the pair 10 weeks to reach their finish line – the German General Consulate in Istanbul (pictured). So far they have raised €16,000 for the Hilde-Ulrichs-Foundation, which is the first private foundation in Germany that is supporting non-drug treatment of Parkinson’s.